Legendary Entertainment has confirmed that Rob Letterman will be directing the live-action Pokémon movie Detective Pikachu. Letterman has helmed projects such as Goosebumps, Monsters Vs. Aliens, Gulliver's Travels and Shark Tale, the latter of which he wrote as well as directed. He is also currently attached to a new film adaptation of the popular roleplaying series Dungeons & Dragons. 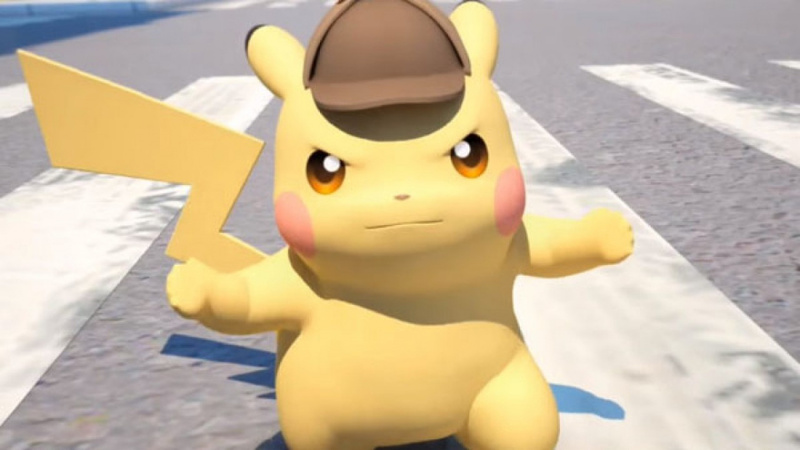 Scripted by Nicole Perlman and Alex Hirsch, the movie will star Detective Pikachu, a new character introduced in the 3DS eShop title of the same name. Toho will handle distribution in Japan, while Universal Pictures - Legendary's distribution partner - will do the honours elsewhere in the world. I'm guessing I'm the only one that's not impressed by his resume? I think this is a good director pick, but I can't help but think that detective pikachu is a bad fit for a movie. Maybe it's a test run for a full Pokémon movie and Nintendo wants to make sure that studios can handle a spinoff. I thought it's supposed to get more episodes? If this is a TV/DVD only thing I guess that all makes sense, but it seems strange that there hasn't been an actual big Pokemon movie in years in actually theaters if they do this instead. Honestly the anime is a bit too cheesy or something for me most of the time. The 4 episodes of Origins was good though. All jokes aside, I'm not either. But whatever, its not like I was expecting Steven Spielberg. Monsters vs. Aliens wasn't bad, I'll give them that. But Detective Pikachu? This is probably going to be terrible. Is Danny DeVito confirmed to voice Pikachu yet? Yay, because Pikachu needs more exposure. Such an underrated character. I mean, I know he's the franchise's mascot, but you don't need to make a freaking Detective Pikachu movie just because Pikachu is front and center. Especially when the general concept of Pokémon would adapt so easily into a film. There are 801 other Pokémon, put Pikachu in a prominent role while giving other Pokémon big parts too. You may end up with some new cash cows if you do it right. I would like to see this game in europe. Scripted by Alex Hirsch? This movie has potential to be great! I have virtually zero interest in all things Pokemon, but I like the idea of this becoming a movie. I really hope they follow the trailer's precedent and give him a distinctly adult male voice. @Rect_Pola I hope one of the writers will voice act him with his Grunkle Stan voice. @gloom A mess? They got the creator of Gravity Falls with one of the writers of the first Guardians of the Galaxy movie to write the script. And then this guy seems like a decent director, I loved Monsters vs. Aliens, though I was pretty indifferent to Goosebumps. I need this. We need this. The world needs this.